People with anxiety-related conditions are often diagnosed with a co-occurring mood disorder. In particular, people with panic disorder are often at greater risk of developing clinical depression. Research has indicated that approximately half of those diagnosed with panic disorder will have at least one incidence of major depression in their lifetime. Depression is not the same as occasionally feeling gloomy or disappointed. We all have times in our lives in which we feel down, such as after experiencing loss or receiving bad news. Feeling "blue" about difficult life situations is not necessarily a sign of depression. However, it is necessary to seek out help if your feelings of sadness begin to negatively affect your overall functioning, such as interfering with your job, relationships and other important areas of your life. Many times people with clinical depression are unable to identify what it is that is contributing to their depressed mood, but they are aware that it is a feeling that they cannot just "snap out of." According to the DSM-IV-TR, at least five of these symptoms must be present within a two-week period of time. One of these symptoms has to be a depressed mood or loss of interest or pleasure, in order to be formally diagnosed with major depression. These symptoms must also represent a change in the person’s typical behaviors as indicated by self-report or observations by others who know the person, such as friends, family, and coworkers. Depression is also a treatable condition that can be managed through the help of your doctor. The most common forms of treatment include medication, psychotherapy or a combination of both. Antidepressants are the most frequently prescribed medication to treat depression. Known for their mood-enhancing properties, antidepressants have also been established to treat and reduce symptoms of panic disorder. Cognitive behavioral therapy (CBT) is one form of psychotherapy that has also been found to be an effective form of treatment for depression and panic disorder. CBT works by altering one’s negative thoughts and behaviors to reduce depressive and anxious symptoms and to improve overall functioning. A combination of CBT and medication is the typical treatment option choice for panic disorder and depression. It is possible to have panic disorder and a co-morbid diagnosis of clinical depression; these treatment options can address both conditions. If you suspect you are suffering from depression, talk to your doctor right away. If you are still unsure whether or not you have depression, take this confidential screening test. 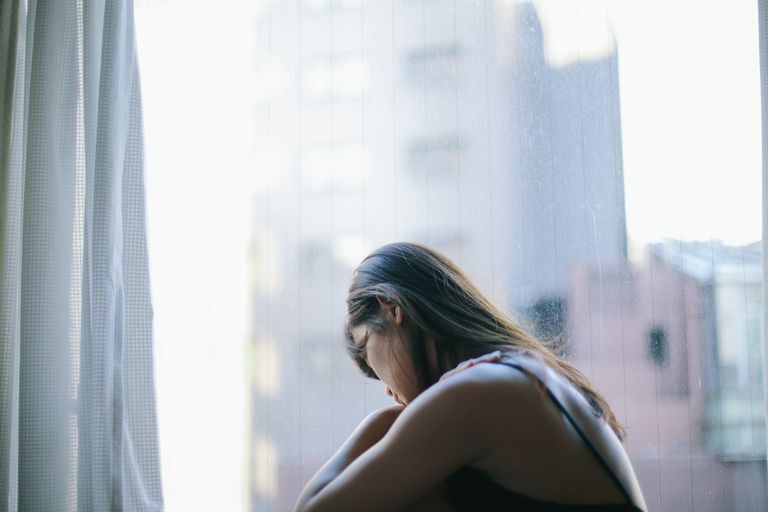 This guide to depression can provide you with additional information on the signs, symptoms, and treatment options for depression. If you are experiencing thoughts of suicide, seek help immediately by calling 911 or a suicide prevention hotline. These hotlines are toll-free and can provide you with 24-hour assistance. If you are in the United States, you can call the National Suicide Prevention Hotline at (800) SUICIDE (1-800-784-2433) or the National Suicide Prevention Lifeline, (800) 273-TALK (1-800-273-8255). Gorman, J.M., & Coplan, J.D. (1996). "Comorbidity of depression and panic disorder.” Journal of Clinical Psychiatry, 57, 34-41.